After the collapse of the Boer rebel lion in December, 1914, followed by the surrender of General De Wet and the death of General Byers, the Germans of Southwest Africa were left in a precarious position. Their scattered forces of rebel Boers, Germans and natives numbered scarcely more than 10,000, while the Boer-British Army totaled close to 20,000. Hemmed in on all sides, the Germans sought desperately to break through the circle of steel. The British then were in possession of all the exits out of Southwest Africa. It remained for them to complete the conquest of the German colony and capture or destroy the enemy. 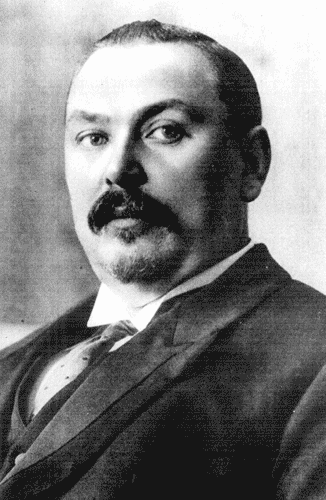 General Botha's army, in January, was divided into two parts, preparatory to advancing into the interior. One division, under his personal command, intended to proceed by rail from Swakopmund to Windhoek. 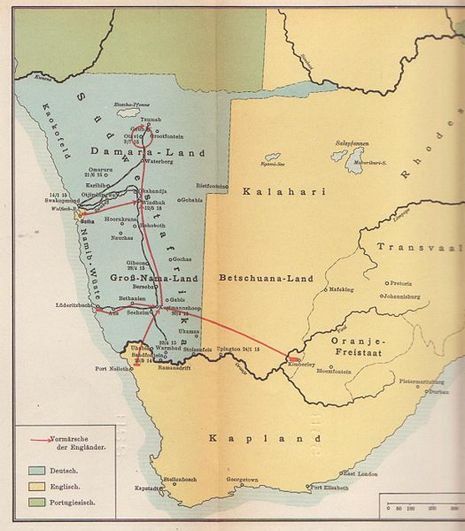 A second division was to move in three columns: One proceeding north from Warmbad, one east from Luderitz Bay and one west from Bechuanaland. These three columns were to unite and move northward to aid General Botha in capturing Windhoek. This movement got well under way in February. There ensued several months of fighting over the eighty-mile stretch of burning desert veldt, where the temperature rose to 120 in the shade and water supplies had to be carried by the commissaries. 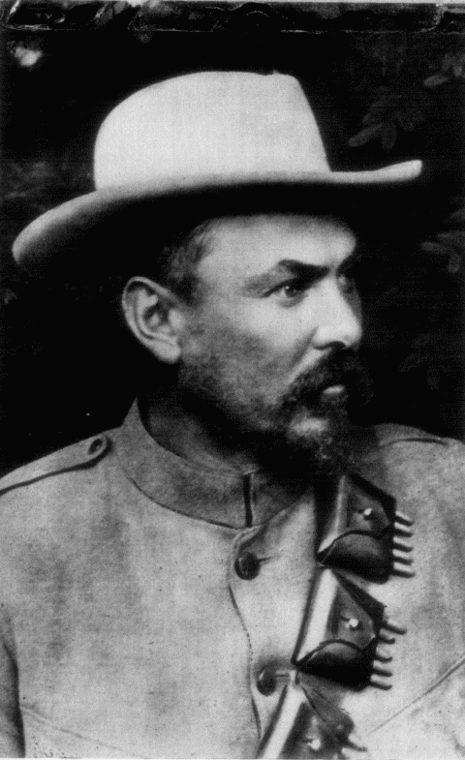 General Louis Botha, commanding the Union Army, moved out of his base at Swakopmund on February 22, 1915, and seized Nonidas and Goanikontes, preparatory to advancing upon the German capital, Windhoek. 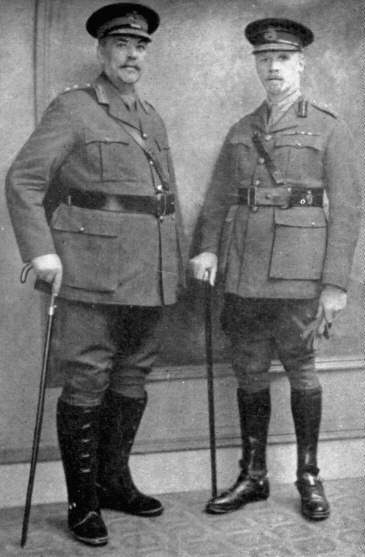 On March 19, 1915, finding the enemy at Riet, which commands the highway to Windhoek, it was arranged that Colonel Brits' brigade should attack in front while Colonel Colliers' brigade was executing a flank movement to cut off the line of retreat. The frontal attack proved successful, but the flank attack was a failure, the Germans holding the railway and taking 43 men prisoners. During April and May, General Botha succeeded in clearing the railway for a distance of 50 miles. He established a railhead at Trekopke with the Kimberly regiment under Colonel Skinner in charge. This encampment was attacked on April 26th, by a force of 700 Germans with a dozen guns. The Germans failed in their encircling movement and were driven back, losing 25 men. 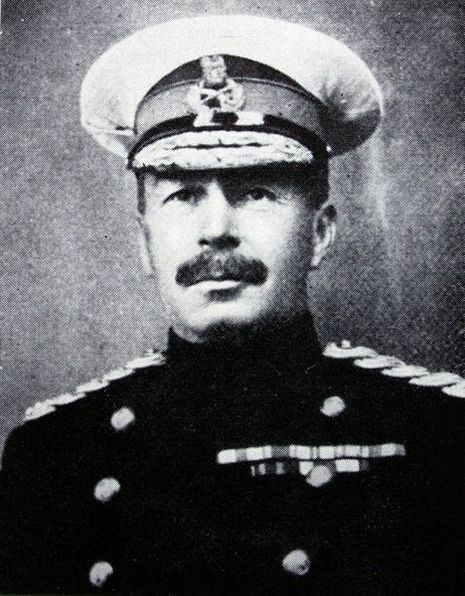 In the South, Colonel Van der Venter, in command of a Union force, crossed the Orange River and occupied a group of German stations. Uniting with the forces of General Smuts, on April llth, he drove the Germans from their strong positions on the Karas Mountains. A week later Colonel Van der Venter entered Sechein, the Germans fleeing in great haste. At Gibeon, on April 28, 1915, General Mackenzie's division drove the Germans pell mell before them, seizing much booty. On May 1, 1915, Karas was evacuated by the Germans and occupied by General Brits' command. The way was now open to the German capital. The Germans, seeing further resistance useless, surrendered Windhoek on May 12, 1915, with its population of 3,000 whites and 12,000 natives. The great wireless station at Windhoek, which kept the Germans in touch with Berlin, was found uninjured. The rounding up of straggling bands of Germans throughout the colony occupied the Union forces during the next two months. Finally, on July 9, 1915, at a place called Kilometre 500, the Germans surrendered German Southwest Africa, with 5,000 prisoners of war, to the British. The conquest of this empire cost the Allies 1612 men in killed and wounded, while the Germans and rebel Boers lost 800. The Germans and rebel Boers were still holding out in various sections of the Kameruns during 1915, and it was the business of the French, Belgian and British forces to subdue them. Many small engagements took place, but with the capture of the forts at Garna on June 11, 1915, and of Ngaundere on July 29, 1915, the Germans were practically dispossessed of their colony, although in the fall of 1915, a considerable force still occupied Yaunds and did not surrender until New Year's Day, 1916. Guerilla warfare was kept up during the summer of 1915 along the northeastern borders of Rhodesia and in Nyassal and by British and Belgian forces. The German raiding cruiser Konigsberg, which had run up the Rufiji River for shelter on October, 1914, was bottled up by sinking a collier across the mouth of the river. On July 4, 1915, up among the jungles of an African river, the monitors Severn and Mersey shelled and destroyed this mighty German raider, once the terror of the seas.